Birmingham man Jeffery Eric Seay has been arrested and charged with felony second-degree abuse of an elderly person after locking a woman, later identified as his mother, 68-year-old Elizabeth Allen, inside the back of a moving truck early Tuesday morning. Seay was charged with abuse after Dothan police found his mother locked in a truck parked at Flying J Truck Stop located at 2190 Ross Clark Cir, Dothan, AL. 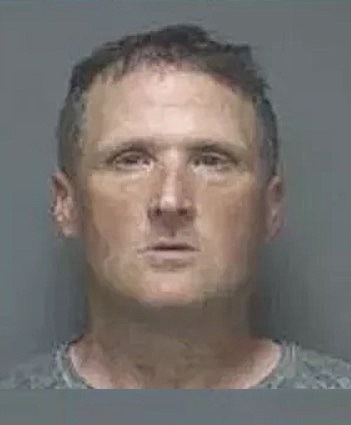 TRENDING: FL Man 41 Claims Smoked Meth With 14-Year-Old Pasco Girl To Help "Keep Her Off Streets"
Investigators were called to the truck stop around 1 a.m. on reports of a possible kidnapping. On the scene, officers found a moving truck parking in the back corner of the parking lot. Police located the driver, later identified as Seay. Law enforcement officials found the man’s mother, 68-year-old Elizabeth Allen, inside the back of the locked moving truck. Seay was transported to the Dothan Police Department where he was interviewed about the incident. Once completed, authorities determined no kidnapping occurred, but Seay was arrested on felony second-degree abuse of an elderly person. It wasn’t immediately clear if Seay explained to police why his mother was locked in the moving truck. Dothan investigators said the investigation is ongoing and more charges are pending. A bond has not been set. FL Man 41 Claims Smoked Meth With 14-Year-Old Pasco Girl To Help "Keep Her Off Streets"